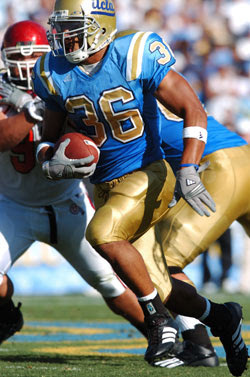 Houston vs UCLA 2010 Vegas College Football Odds Picks & College Football Predictions - The UCLA Bruins were one of the favorites this season in the Pac-10 , but all the Bruins have done so far is put us all to sleep. UCLA was not competitive to open the season, a 31-22 College Football Picks loss at Kansas State. But the Bruins looked terrible last week, a 35-0 shellacking by Stanford. They managed all of 81 yards passing and were shut out for the first time since losing 59-0 at BYU on Sept. 13, 2008, and the first time at home since a 17-0 loss to Cal on Oct. 16, 1999. UCLA is going to catch a huge break when they play this College Football Predictions game this Saturday. Houston starting QB Case Keenum, the fifth-leading passer all-time in college football, is questionable for Saturday’s game. Still, the Cougars are College Football Odds 3-point favorites on Bodog.com. Keenum left last Friday night’s win over UTEP with concussion. Keenum, who was 15-for-24 for 265 yards and an interception, was replaced by Cotton Turner, who is a former walk-on. Turner went 9-for-10 for 69 yards against UTEP and would start Saturday if Keenum can’t go. Vegas-spreads.com making a Vegas College Football Picks play on UCLA to finally get there first College Football Predictions win of the season. College Football Odds at Bodog Sportsbook list the total for this Houston vs UCLA game is set at 64 points.